Any professional cook can tell you that your equipment does in fact matter. Yes, you may hear the occasional motivational line that a true chef does not require fancy appliances, but let’s get real here. As a cooking enthusiast, I would be completely lost without my beloved pressure cooker. For me, a top-notch brand ordered straight from Amazon did the trick. 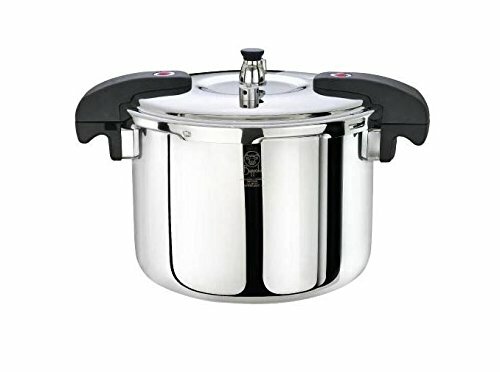 But if you’re not sure exactly which pressure cooker will suit you, then you might want to read on. As a home cook, the thrill of cooking in a pressure cooker isn’t nearly as inciting as the virtue of buying one. In the following list, you will find dozens upon dozens (and soon hundreds) of our trusted brands and models. The list keeps being growing. So, if you didn’t find the best one yet, then there’s still hope for you. The PC8 is among the most recent extensions in the industry and offers a perfect cooking solution to any household. This cooker comes with a number of interesting features to enable you to achieve better results. They include inbuilt cooking programs, a smart timer, stainless steel construction, interlocking safety features, and a steamer basket. A digital control panel is included that allows you to adjust these features and eliminate the issues of guesswork during cooking. This cooker also exposes you to some of the best quality variants and textures you can get on the market. 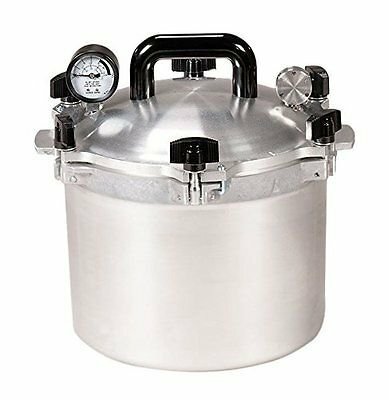 This is the kind of a pressure cooking device you will need as far as canned food is concerned. It has a wide capacity that can accommodate up to 7-quart jars or 19 pints. 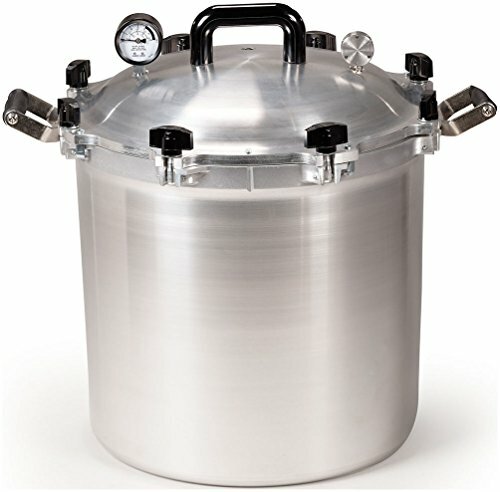 Some of its interesting features include the pressure gauge, pressure control valve, durable aluminum construction, canning racks, and unique sealing technology. The pressure control valve uses three pressure settings that are easy to operate and safe to use. An instruction manual is included to give you safety recommendations and other necessary information required during the cooking process. 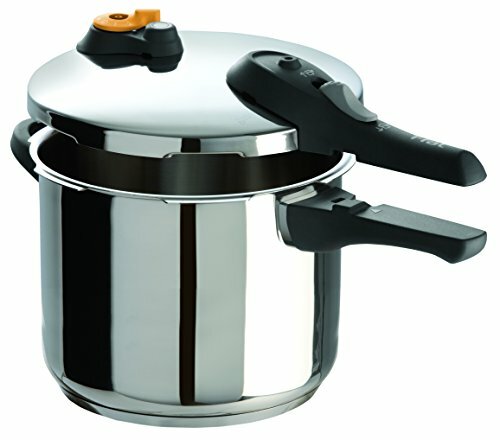 This is an automated electric pressure cooker that has been programmed to guarantee accurate cooking. It has a capacity of 6 quarts and has been built using high-quality stainless steel material. 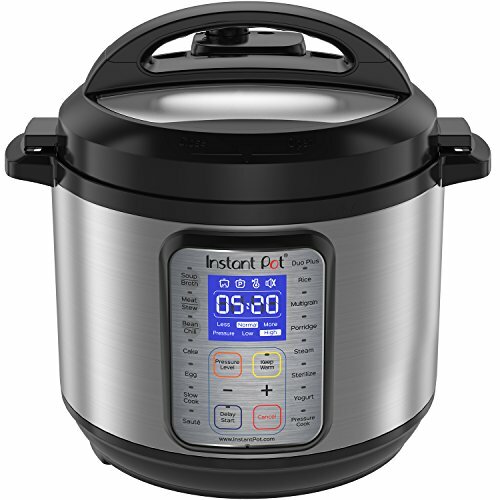 It features a thermostat, side handles, a removable cooking pot, and digital control display. 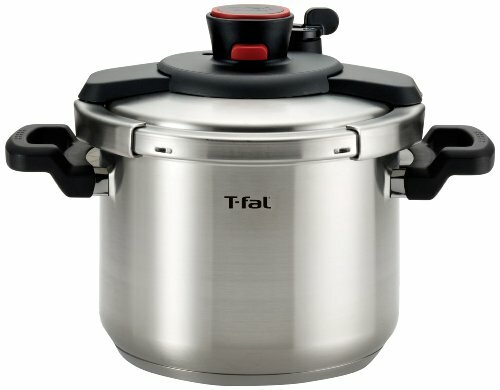 With this unit, you don’t only have to do the pressure cooking, but you can also do simmering, warming, sautes, and browns. Each of the cooking features can be operated in either low-mode or high-mode. The countdown timer runs from 0 to 99 minutes. This unit cuts the cooking time by up to 70 percent. One of the healthiest methods of cooking food is the pressure cooker way. With this approach, you will require little to no oil in order to deliver a delicious taste to your food. This unit makes it possible to retain all the fluid from meat and vegetables and hence, not losing any of the nutrients. If you have been struggling with taking a raw diet in order to get all the benefits of the vegetable-fruit group, then a pressure cooker will help you get the same benefits but now in a cooked diet. The Cuisinart EPC-1200PC is a high-quality pressure cooker that will provide you with a perfect cooking solution for a healthy lifestyle. This is among the finest units you can get on the market for cooking meat, chicken, fish, pork, vegetables, beans, grains, soup, yams, potatoes, stews, and desserts. 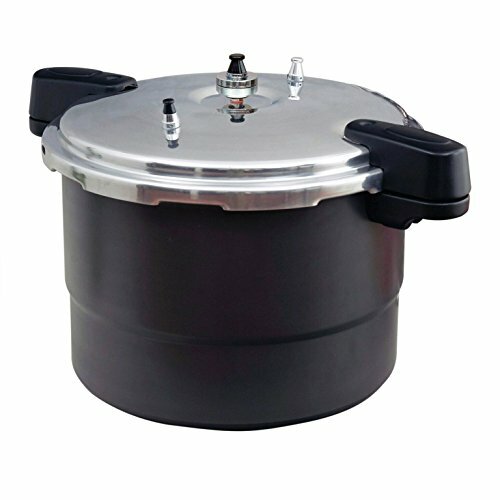 It is a large capacity cooker that can accommodate 10 quarts. It has 8 functions to meet your cooking requirements and features a stainless steel casing. Its operation is aided by a 1400-watt motor, LED display, 24-hour timer, and advanced browning function. If you are that person who doesn’t like spending too much time in the kitchen, then this is a perfect unit for you. It will deliver great cooking results more quickly and easily. This unit was designed in Germany and has a global reputation. It was built using one of the finest stainless steel material you can get to make it extremely durable. 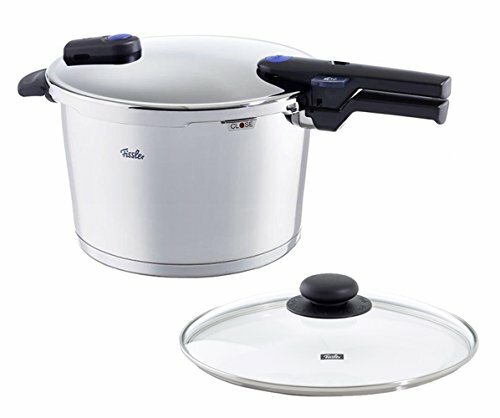 It is a versatile unit for cooking soups, stews, and other meals. It works by increasing the interior heat-range using steam and hence saving you big on electricity bills. It is the perfect cooking time-saver that uses less energy to cook delicious meals. It has a SPEED feature that can be used to achieve even faster-cooking results. Its quality is highlighted by the fact that you will get a lifetime warranty from Fissler once you acquire this product. 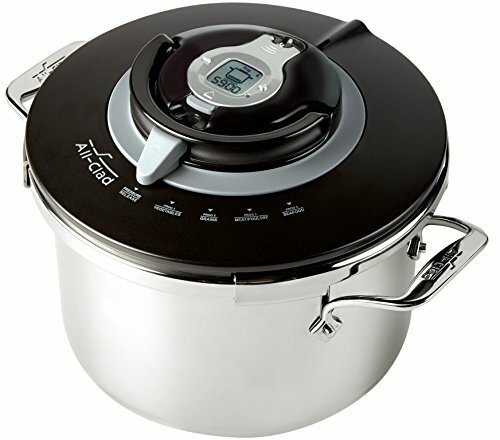 This is a 7-in-1 multi cooker and among the best selling units on the market. It can be used as a steamer, slow cooker, rice cooker, or even a yogurt maker. 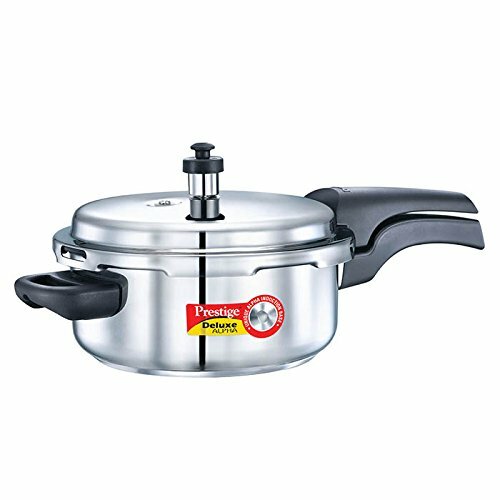 It comes with 6-quart cooking pot made of the stainless steel material and 14 integrated functionalities. It is a UL certified unit that comes with 10 different safety elements to enhance your safety during cooking. The many functions that it comes with means that you will need to take time and master its features for optimum performance. Some of the other features you will get with this unit include energy saving mode, low-pressure setting, control panel, and steam rack. This is a simple unit that comes with a brilliant design, an advanced safety development, top-rated quality, and long-lasting materials. It eliminates the boredom, messiness, and noisiness associated with pressure cookers. It is basically one of the greatest units you will get on the market. It has the capacity to reduce your cooking time by up to 70 percent and save you money on either electricity or gas bills. It can be used for various cooking applications including rice preparation, vegetable, beans, and meat cuts. Comes with 2 cooking containers and complementary lids to give you the flexibility to switch between traditional and pressure cooking. This is a stainless steel aluminum cookware and an energy saving unit. It comes with an enhanced valve and lid system that makes it easy to monitor and release pressure during cooking. It also has a classy design, typical 8-quart capacity, and high-quality construction. Its operation is quite easy and won’t require you to keep referring to the instruction manual. It uses an aluminum core with a dual metal 18/10 stainless steel construction to give you long-lasting properties. There is also an inbuilt automatic locking system, an indicator bar, and a 10-year warranty. 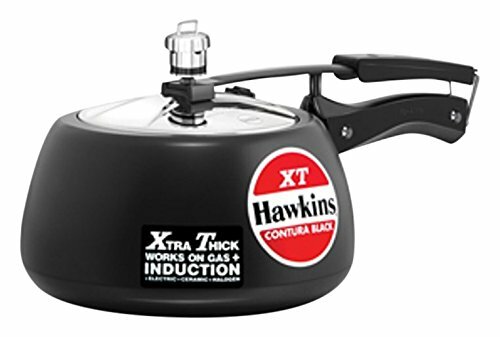 This is a cutting-edge multi-task pressure cooking unit. It comes with a time control and an automatic temperature system. 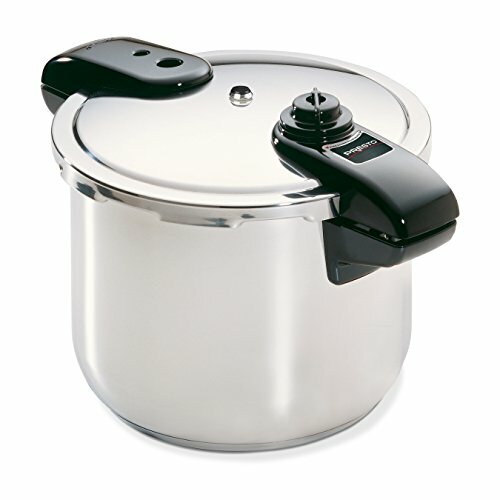 It can be used as either a pressure cooker, slow cooker, rice cooker, saute, soup maker, or steamer. Its parts can be easily removed to facilitate the cleaning process. 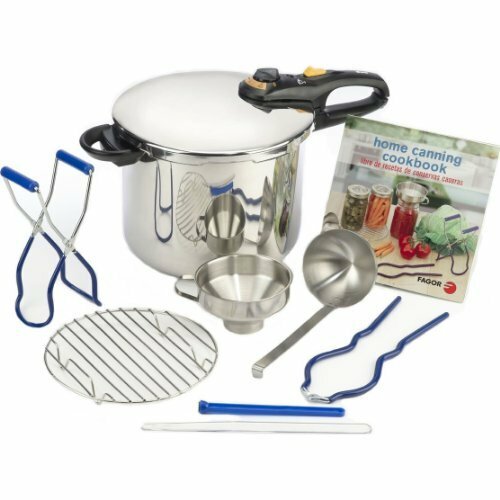 When you buy the unit, you get a cooking pot, a measuring cup, cookbook, rice spoon, and an instruction manual. To optimize on its steam operation, you will need to acquire a quality steam basket. With this unit, you get six different cooking methods that can be executed in one compact device. This is a 6.3-quart cookware that is user-friendly and ideal for a small household. It has a one-handle lid to open and conveniently close the cooker-top. 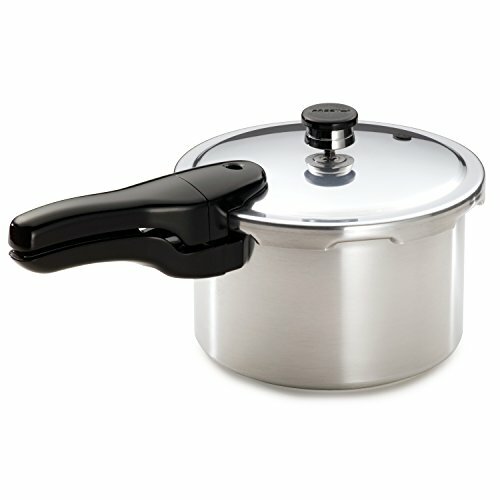 The impressive features of this unit include the lid release & lock feature, adjustable steam valve, and a steam basket. Cleaning this unit won’t be a problem thanks to its dishwasher safe properties. Its pressure setting has an additional button for informing you when to open the lid safely. There is a speed release valve that can be used to relieve pressure in a more secure way. In a good pressure cooker, I look for reliability and insurance. So this list isn’t just an arbitrary compilation of brands from the internet. Through my careful analysis, I’ve come to the conclusion that these brands and these brands only are the true MVPs of the modern culinary world. Careful though, because if I were you, I would still keep an eye out for new brands coming out each year. So while I have stated my top choices, it’s up to you define your own. Take a closer look at my recommendations and you’ll find that all of them have one thing: quality. If there’s no quality servicing, then I’d rather try a pile of trash. And don’t get discouraged if you don’t find the best product right away. Truly good things take time. So be patient and follow your heart, and don’t forget to check my our suggestions.